Read and watch our #ProPlantTips how-to series of articles and videos. Each spring, we see people having their lawn rolled. One of the biggest problems of growing most plants - whether roses, trees, or even grass – is soil compaction. Lawn rolling uses a heavy weight to roll over your grass area to eliminate bumps or imperfections. But please do not compact your soil. If you have imperfections in your lawn, you are better off raking topsoil into the lower areas and filling them in, INSTEAD of rolling and compacting your soil. Leave the lawn rolling to the amateurs and allow your lawn the opportunity to breathe! Those of you lucky enough to be growing roses in the warmer regions of the country, you don’t have to be so concerned about getting your rose plant to survive the winter season. Your plants are already actively growing, and some are already seeing flowers. In areas where roses go completely dormant and need protection, those roses are just starting to wake up. Glossy, dark green, leathery leaves on the Magnolia are incredible, but when spring rolls around, those beautiful leaves turn yellow and spotted and fall off the tree. This is perfectly normal and is expected each year. Even though Southern Magnolias are evergreens, in spring, new leaves push off the old leaves - but not all at once. 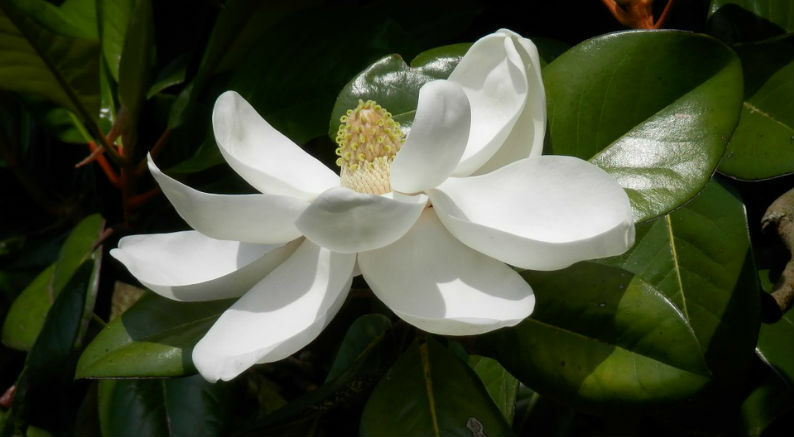 Most deciduous trees lose their leaves in the fall, but Southern Magnolias will drop the older leaves in the spring - every spring. Fresh new foliage replaces the older, discolored leaves, giving your plant a fresh new look each spring! Enjoy. Why Buy From Nature Hills? Nature Hills Nursery’s main office is in Nebraska, but did you know that we ship from locations across the country? Most other online plant stores ship from one location, and all the plants get shipped to that location. As Nature Hills has expanded each year, we are always on the lookout for classic and brand new selections of plants - directly from the growing regions and the expert grower who knows best how to grow that plant. Not everyone can grow everything in one location under one set of growing conditions. This is the reason we reach out to other areas across the country. Nature Hills saw a need to put some of the challenges of growing these different crops of plants in the hands of the growers that know best how to produce them. Do Deer Resistant Plants Exist? Is there such a thing as plants that deer will not eat? 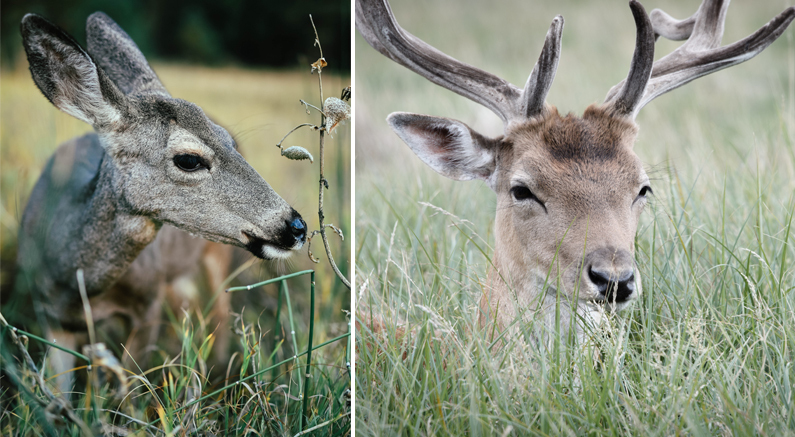 Not really, but there are plants that deer prefer not to eat – if given a choice. Let’s say you live in an area with lots of deer and you want to add some new plants from Nature Hills to your landscape. To start, choose some plants that deer do not prefer. On the day you plant them - before the end of the very first day - spray on some deer repellent. Why spray the first day? Deer will move through an area and if there is a plant that was not there previously, they will sample it just to see if they like it. If you have sprayed the leaves and stems of that new plant that makes it taste bad, deer will move onto something they like better. Re-apply as needed every few weeks. Fencing is another option. Maybe it has been a while since you went shopping for some new flowering shrubs. 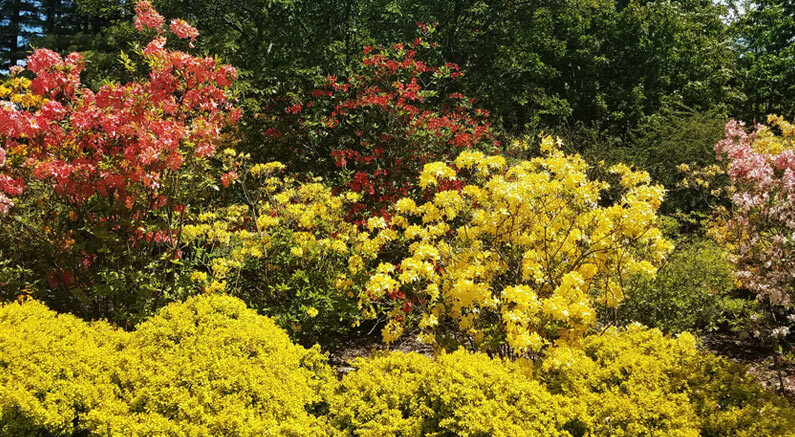 Maybe the last time you looked for any new flowering shrubs was at one of the big box stores that seem to roll out the same old plants from the same old growers year after year. 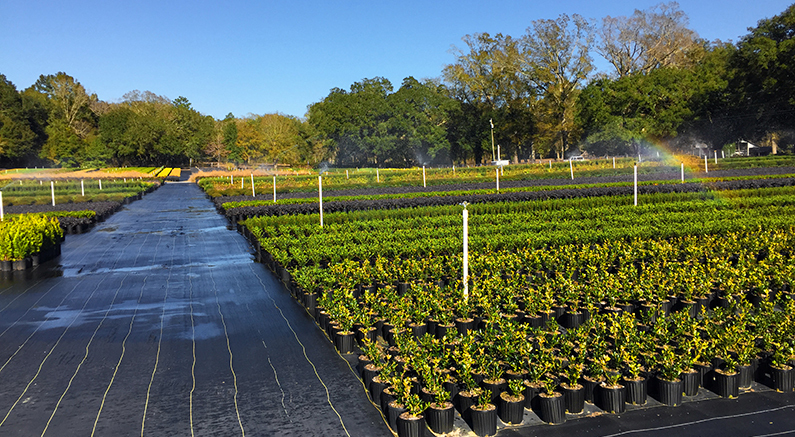 Now is a great time to browse Nature Hills Nursery for some of our great, new, dwarf and reblooming shrubs from the comfort of your own home! Nature Hills sells several different single stem tree form Hydrangea paniculata types. They are all hardy and easy to grow, but each spring it is best if you spend ten minutes pruning them before they start to grow. 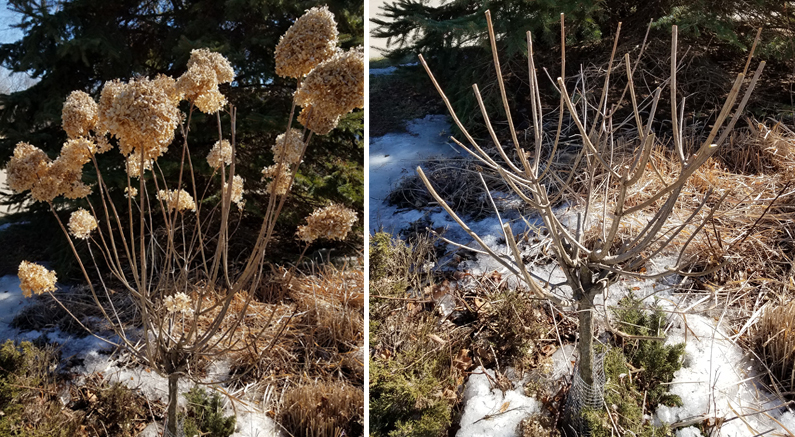 It is best to remove about 1/3 of the length of each of the stems leaving a somewhat irregular “ball on a stick.” Pruning should be done before the new growth starts each spring. 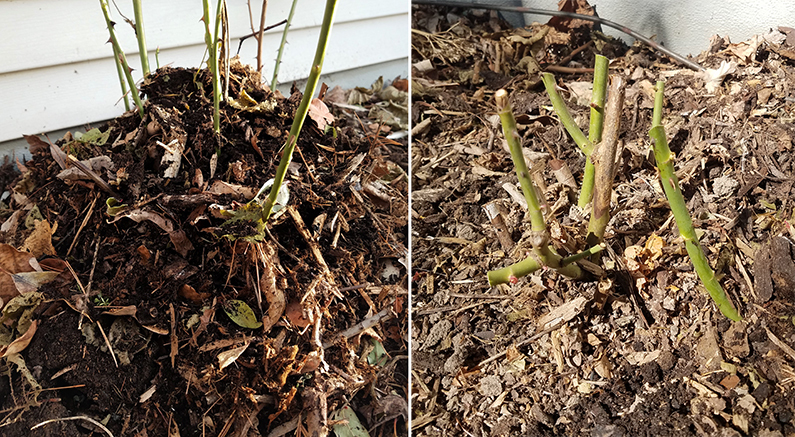 The photo shows a young plant that is only a couple of years in the ground and how it should look once you are done pruning it. Ornamental grasses start to grow as the weather warms. 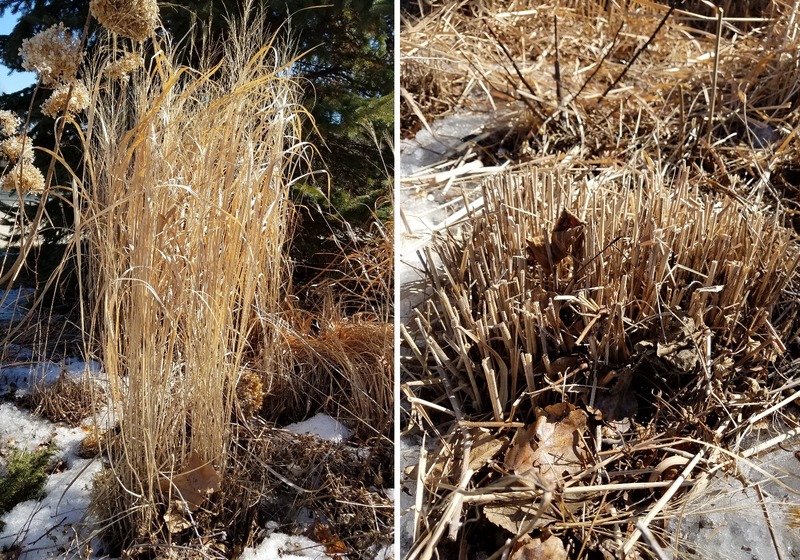 Warm season grasses take much longer before you will see new growth, and cool season grasses will start showing signs of new blades of grass emerging as soon as the weather warms. 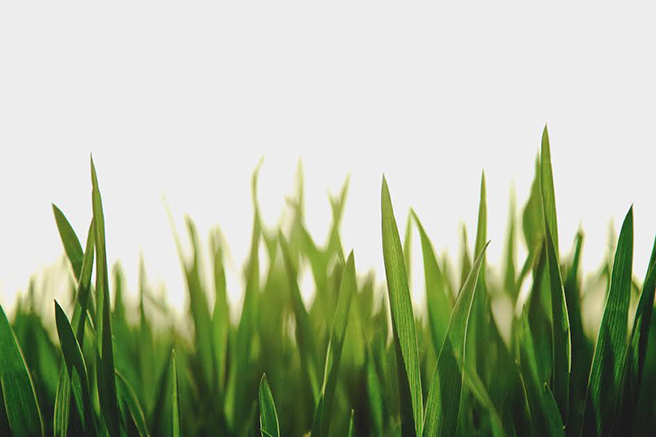 Just like your lawn, early spring is a great time to cut off the old dry brown blades of grass to make room for all new green growth from the roots. Spring has sprung in the more southern areas and from the coasts, and will be working its way north. Upon your first spin around your yard in spring you will tend to take your pruning shears with you. There are many plants that will appreciate some necessary pruning, and there are some plants that you should not prune at this time of the year. Let’s cover some plants that are best NOT pruned in early spring. 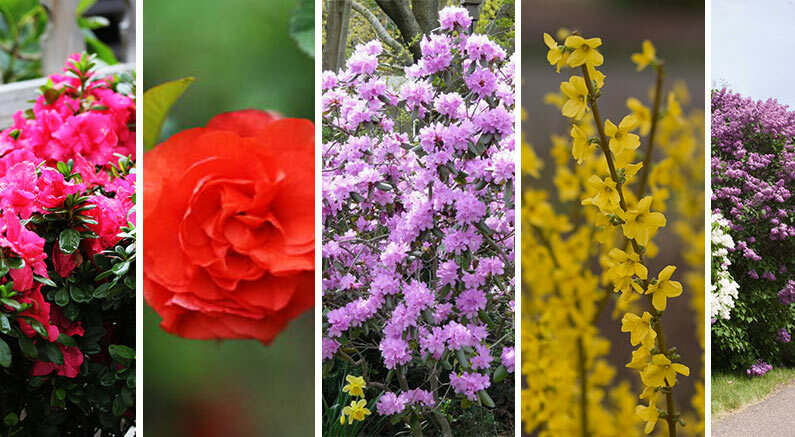 Basically, any early spring flowering shrub or tree should not be pruned because you will be removing the flower display – really the whole reason to grow those plants. Perhaps you’re not in an area that gets snow, but rain and other elements can cause your bird seed to need some attention. The best approach is to spray diluted bleach and water solution on the feeder, let it dry, and then refill. Keep your feathered friends happy and healthy with fresh seed and water!